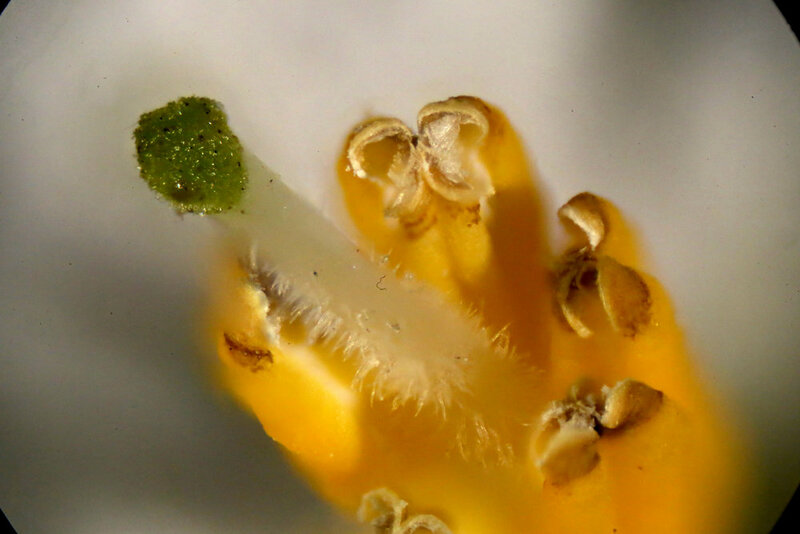 Today I took a flower from the potato vine (Solanum laxum) growing in our backyard and put it under the microscope. Click on any picture to get a larger view. 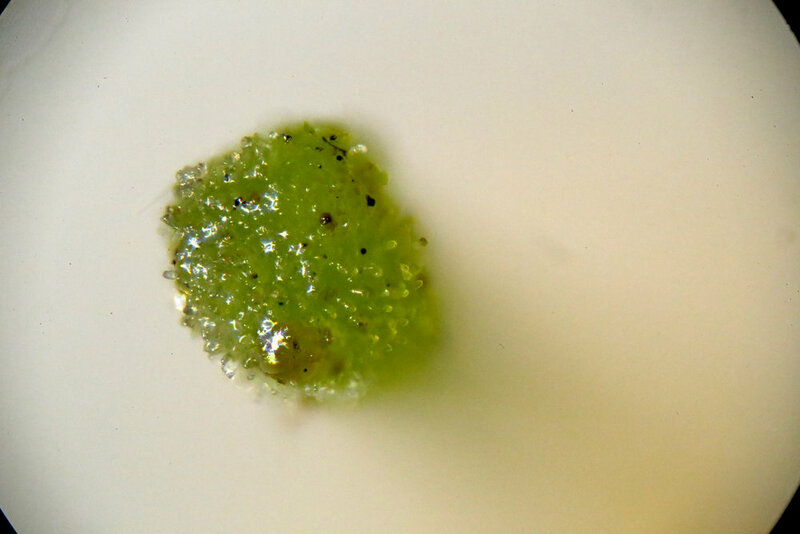 For more microscope postings, see the collection of Microscope blog posts.